15 San Marino - Chakas Rock / Shakas Rock Accommodation. This modern Penthouse is on the top floor of a 2 story building allowing amazing views over the North Coast. The property has 4 en-suite bedrooms sleeping 8 guest comfortably. The main bedroom has a shower as well as bath. This is a very spacious apartment with a very large kitchen, open plan lounge, TV room, dining room and bar linked to an outside entertainment area. The property has been renovated extensively recently. The unit is within 20 minutes from King Shakas Airport. 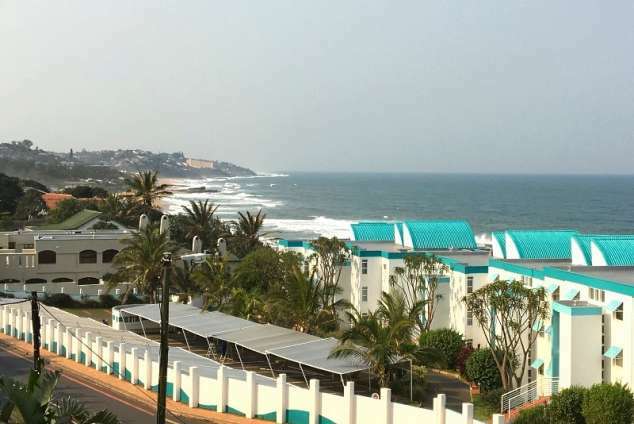 Zimbali, Umhlali and Simbithi golf course is within 10 minutes from the unit. The beach is 2 minutes walk from the complex. Ballito Beach is 5 minutes drive away. Thompsons Beach has a magnificent tide pool. A number of shopping malls are within 5 minutes from the complex. These includes - Lifestyle Centre, Ballito Junction, Tiffany’s, The Circle, The Quarter etc, etc. Detail description : The apartment is very well located. Magnificent views over the sea. Close to beach with life guards. Many shopping malls within 5 to 10 minutes from the unit. 113 page views since 25 Mar, 2019.